Don’t you just love the look of the whitewashed watercolor? I think this is my new favorite technique. 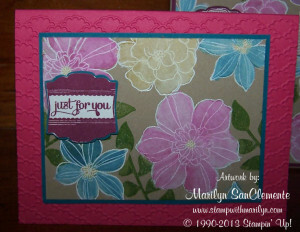 The look of watercolored flowers with the contrast of a non-white card stock is just stunning. I will be teaching this technique at my August Technique Class on Thursday August 29th at 7pm. In this class, you will learn how to do this technique and receive an instruction card with complete instructions to do this technique in the future. 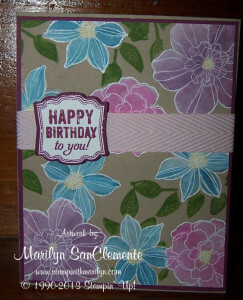 You will be provided with all the supplies to make 3 cards with envelopes. You just need to bring a “class kit” which includes your adhesive of choice and some scissors. The cost of the class is $17. You can pre-register here for the class. Here are a couple of other cards that we will be making in the class. I hope to see you on the 29th! 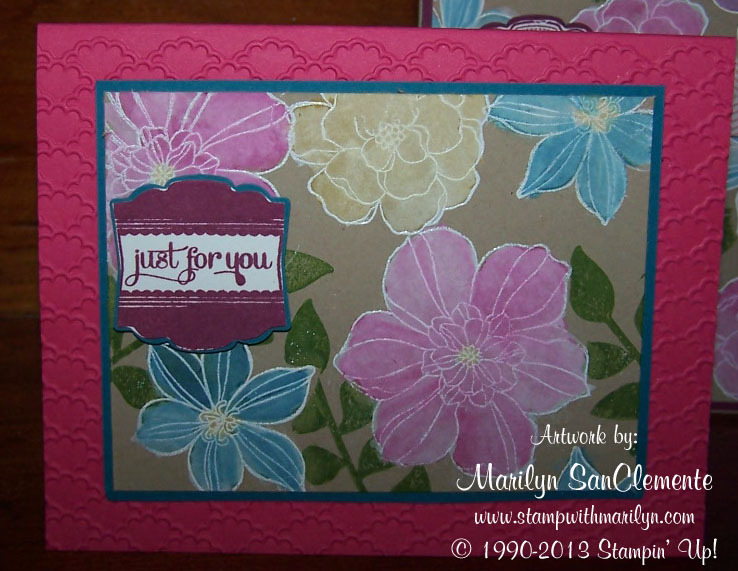 Stamp with Marilyn, Stampin' Up!, STampin' Up! cards, technique class, whitewater watercolor technique. Bookmark.